I met Sam & Jay back in January over lunch to talk about their vision and plans for their big day. I immediately fell in love with these two! For one, we shared the love of YUMMY cheeseburgers! They took my husband and I to this AMAZING burger joint in Easton, PA. Best. Burger. Ever. Why haven't I been back yet??? Anyhow.... These two are some of the busiest people I have ever met! It was months in the making trying to set a date for their engagement session. But we could not have picked a better day to do their session. The weather was perfect and clear! I was so excited they requested Hickory Run because this location is one of my favs! 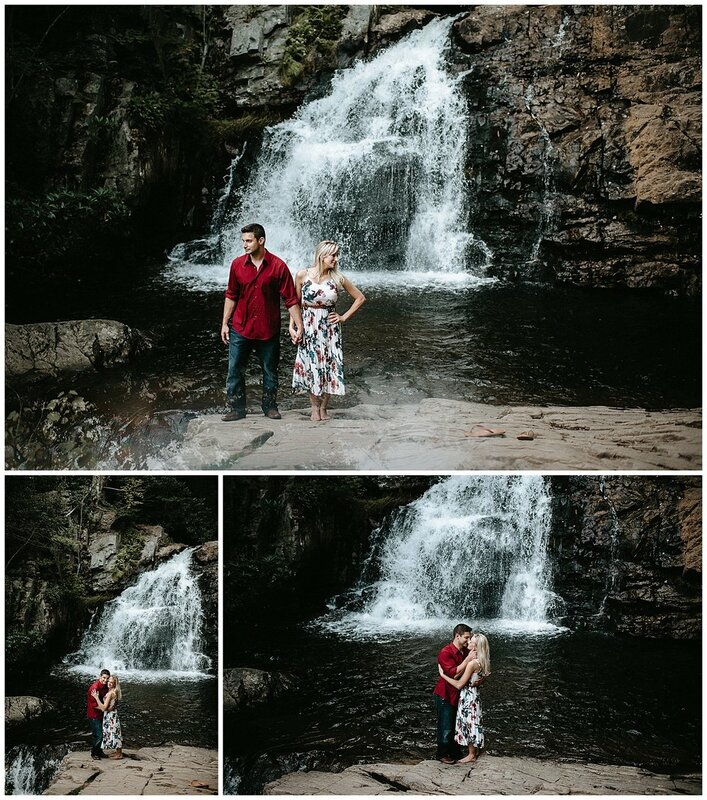 I am a sucker for a waterfall session!!! We are on the countdown to their big day ( just a little over a month away) and I can't wait to be part of it! I look forward to seeing you guys again soon!! !